Buffer and water comparison, 4 of 4. 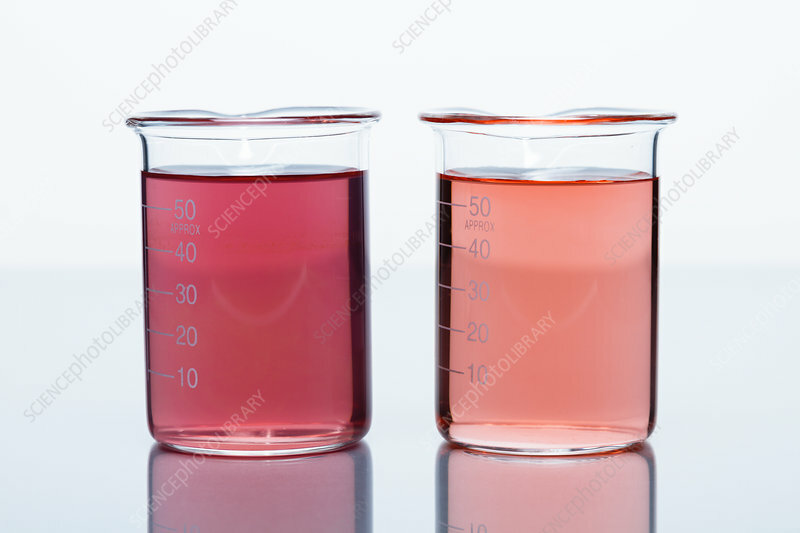 Here, two beakers are filled with 40 mL of pH=7 buffer (left) and water (right). Universal indicator is added to both solutions. Initially the colour is green indicating that both solutions are neutral (Photo 1). Then 0.1 M hydrochloric acid (HCl) is added in increments of 1 mL to both solutions. After the first 1 mL of HCl, water changes its colour to red thus becoming acidic (Photo 2). It takes a total of 14 mL of HCl for the buffer to start changing its colour (Photo 3) and 17 mL to become acidic (Photo 4).